The looming requirement on the use of electronic logging devices (ELDs) by truck drivers took another interesting turn last week when the U.S. Supreme Court rejected a petition to overturn the ELD Mandate. The petition was brought by the Owner-Operator Independent Drivers Association (OOIDA), the lobbying group for smaller truckers, who claim the mandate is unconstitutional and places an onerous financial burden on smaller truckers. ELD adoption is a contentious issue with more sides that you can count. First and foremost, there’s the question of whether or not limiting consecutive drive time on the road will positively impact road safety. Most of the data indicates no clear correlation. Typically, regulation is triggered to address a proven problem. Let’s be clear: we’re not arguing against ELDs. It’s simply interesting that a rule with such far-reaching impacts throughout the industry has moved forward without clear consensus on the safety impact. 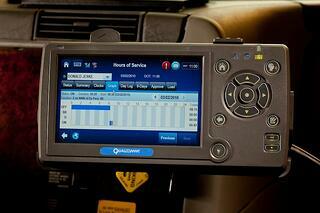 For the record, KANE installed onboard logging systems in our entire fleet in 2008, before it was fashionable. We’ve removed any questions about driver fatigue issues and our customers have a higher comfort level. But thinking from an industry perspective, the mandate raises some legitimate concerns. For carriers, there’s an initial cost of somewhere between $700-$900 per unit and an ongoing cost of $35-$55 per month, per unit. Those are direct expense costs. The rule will also impact the top line as productivity takes a hit. Lower revenue and higher expenses are never a good combination, particularly in what is already a low-margin business. That means some carriers will go under and some owner-operators will decide to hang it up. Result: tighter capacity in the market. For shippers, less freight capacity is never a good thing. As December 18th approaches – the final deadline for drivers to have some sort of ELD device in place – shippers will need to choose ELD-compliant carriers or risk liability for negligent hiring practices. Shippers need to recognize the key role they play in easing the transition to a post-ELD freight environment. Wait time at origin and destination wreak havoc on trucker schedules. Drivers can spend literally hours simply waiting to load and unload – and all of this time counts against their daily limit. Retailers, in particular, have simply not stepped up to address the problem of driver turnaround time at retail DCs. And to this point, 3PLs and carriers have reluctantly tolerated this inefficiency. Until there is a directive to pursue shippers for detention time, truckers are handcuffed. Short runs well within the bounds of compliance become non-compliant when the driver faces a logjam at the retail DC. Fair? No. But it is an exasperating reality of our industry. One of the best outcomes of the ELD mandate, beyond a reduction in accidents, could be an increased focus on improving turnaround time in order to mitigate time-pressures brought on by ELD compliance.